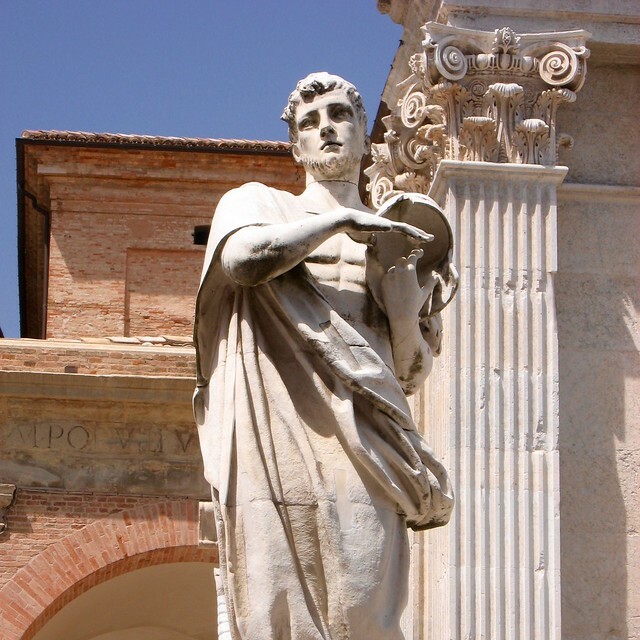 Urbino has had the bad luck, or perhaps the good luck, of being on the wrong side of the Apennine mountains. Tucked into the hills of Le Marche, on the opposite side of the mountain range that winds its way down the length of central Italy like its spine, Urbino was a cultural capital during the Renaissance, birthplace and gathering place of such luminaries in art as Piero della Francesca, Barocci, Raphael and architecture as Laurana and Martini. After the town's peak in the 15th and 16th centuries, its influence waned, not least because of its distance and inaccessibility from other centers of art and culture on the western slopes of the Apennines. This may have also been its stroke of fortune, however, because as the city faded into provincial anonymity, it also avoided later development and has remained one of the best-preserved Renaissance historic centers in Italy. Now a UNESCO World Heritage Site, the town looks much the same as it did in the 15th century, when the ruling Duke Federico II of Montefeltro built the center based on their designs for an ideal city. Steep, narrow lanes - many of them pedestrian only - are lined by houses and palazzi of muted red brick and white marble, and lead to the spectacular Ducal Palace and Cathedral. Above the city, the Albornoz Fortress looks out over the rooftops of the town and across the lush rolling countryside beyond. Urbino is probably not going to be a stopover, as it is not located between any two major cities or destinations, but it can easily be a day trip from many towns in Tuscany and Umbria, combining a gorgeous drive with a day of splendid art and architecture which rivals any of the hilltowns of its neighboring regions, but with a fraction of the crowds. 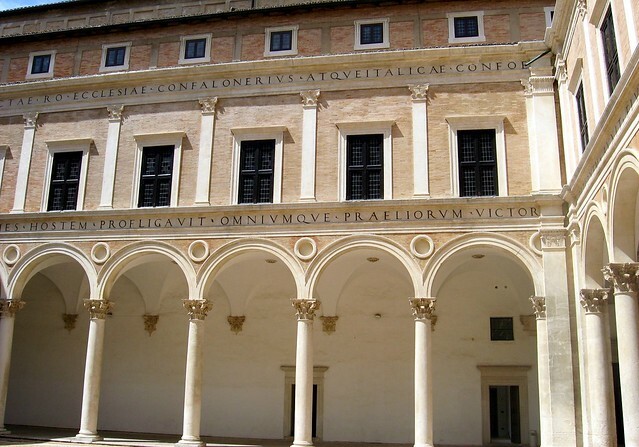 Urbino's Ducal Palace, which contains the National Gallery of Le Marche, is by far the town's most important monument, and is considered one of the great Italian buildings of the Renaissance. Built by Duke Frederico of Montefeltro in the 15th century according to plans by architect Luciano Laurana, the palace is a large complex with a beautiful arcaded courtyard and a unique “studiolo” decorated with exquisite intarsia (inlaid wood) paneling depicting shelves lined with books and musical instruments. The National Gallery is home to a surprising excellent collection of works by Raphael, Piero della Francesca, Uccello, Titian, and Barocci - one of the most important collections of Renaissance paintings in the world. Just next door, the town's Cathedral was rebuilt in the 18th century after a devastating earthquake destroyed the original building, but is home to a number of Renaissance paintings by Barocci and others. 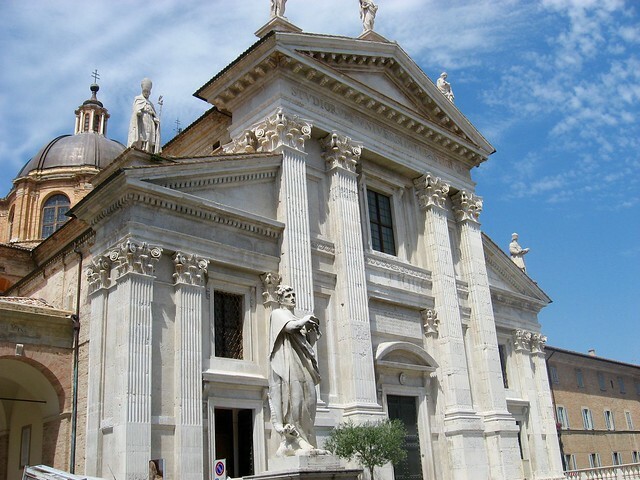 Nearby, on the fittingly named Via Raffaelo Sanzio, stop in to visit Raphael's birthplace. This great Renaissance master's father, Giovanni Santi, was a court painter to the famous patron Duke Federico II of Montefeltro, and moved his family here in the 15th century to establish a workshop. Raphael was born here in 1483, and painted in the family workshop until his father's death 11 years later. Though there is a small mural attributed to the young Raphael inside, the house-museum is more interesting as a recreation of a typical 15th-century home and workshop. Above town, the 14th century Fortezza Albornoz was built to keep the city of Urbino in check, and later expanded by the Cardinal Albornoz, for whom it is named. 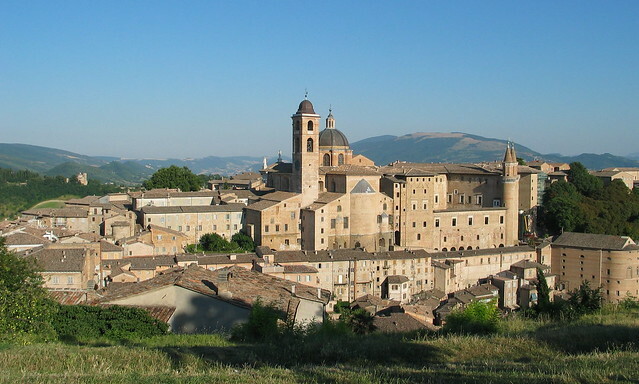 Now home to a museum of antique arms and armor, the fortress has fabulous views from the upper floor over the center of Urbino and the surrounding lush countryside. Urbino is home to an important and historic university, and the shops reflect the young, eclectic atmosphere of a university town. You'll find small artisan jewelry and housewares boutiques, bookshops, and ceramic workshops. There are a few souvenir shops sprinkled around the main sights in town, but nothing on the scale of towns in Tuscany and Umbria. Le Marche is known for its rustic mountain food. At simple, family-run trattorie like La Trattoria del Leone, L'Angolo Divino, and Antica Osteria da la Stella you can sample stewed rabbit, the region's excellent pork, and fresh pasta with hearty truffle or game sauces.